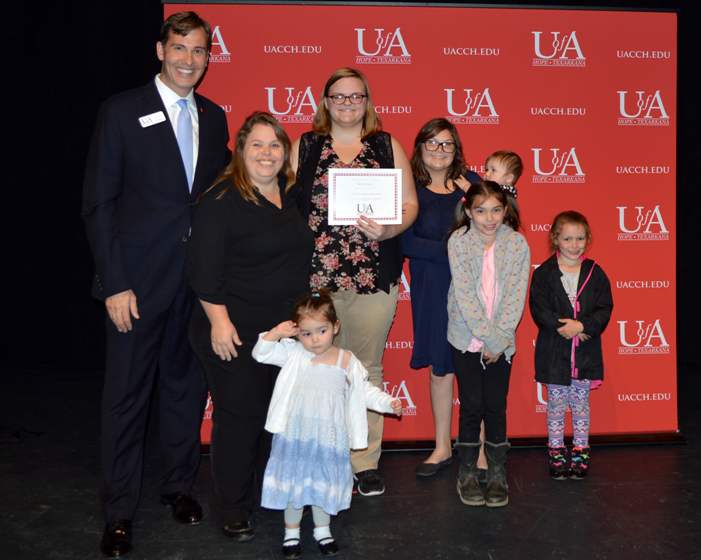 You are at:Home»Community Involvement»Christa Shockley Memorial Endowment Established at U.A.H.T. Christa Shockley Memorial Endowment Established at U.A.H.T. 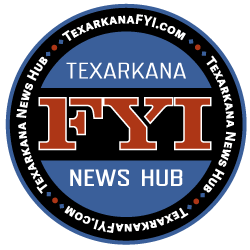 HOPE, AR – October 26, 2017 The University of Arkansas Hope-Texarkana is proud to announce the establishment of the Christa Shockley Memorial Endowed Scholarship. Christa, a former, beloved student at the U of A Texarkana campus passed away on Thursday, February 2, 2017. 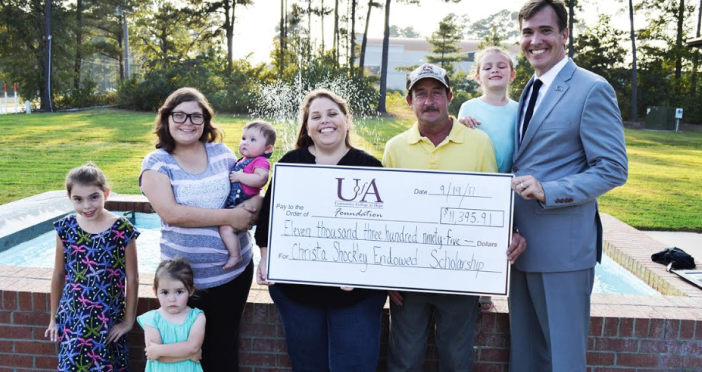 This endowment was created by the diligent fundraising efforts of her family, church, UAHT faculty and staff members, and E-Z Mart, Inc. to honor her memory. Christa attended Church at Beech Street First Baptist Church where she volunteered her time to help at vacation bible school. She also worked during Parent’s Night Out events at BSFBC and volunteered with KLFI TV helping to film and run cable for high school football games. “She was always willing to serve where she could,” said her mother, Gina Shockley. “Christa was a driven student who worked hard for what she had and knew where she wanted to go in life. She also was the type of student who encouraged others and was a positive influence to those on our campus. Her shining smile and infectious, bright outlook on life have been missed greatly at UAHT,” said Loni Taylor, UAHT Instructor. Katie D. Cornett of Genoa, AR, receives the inaugural Christa Shockley Memorial Endowed Scholarship.